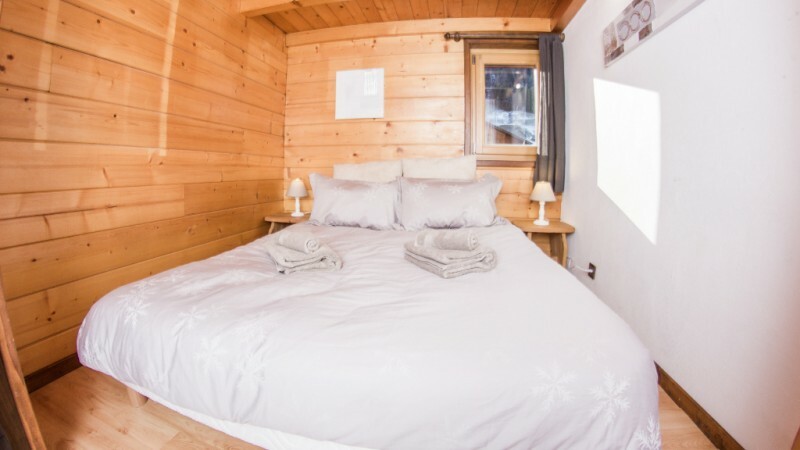 Chalet Caribou is a bijoux apartment in the centre of Morzine. The Pleney pistes and lifts are a 2 minute walk away and the Super Morzine gondola which leads up to Avoriaz just 5 minutes from the chalet. The property is a small apartment run on a catered basis. It sleeps 6-8 guests in 3 bedrooms, 2 doubles and a twin. Living and dining room is located on the ground floor and open plan, maximising space. 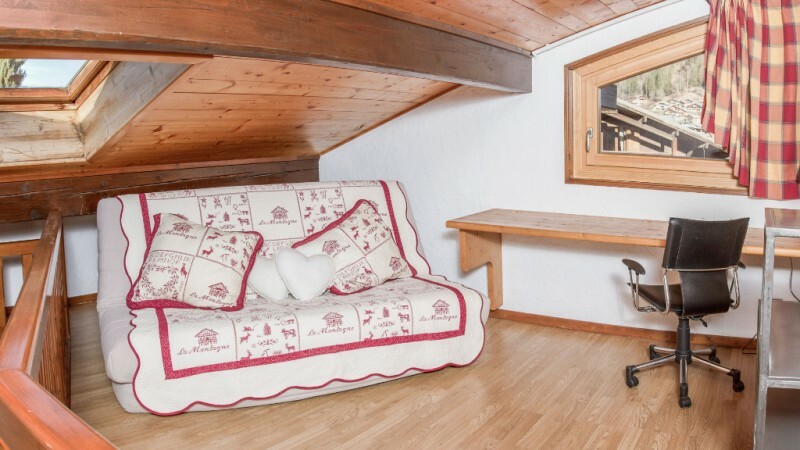 There is the added bonus of an extra seating area on a mezzanine that can sleep and extra two guests on a double bed. If you have you plan on taking your own skis or board please note there are no ski storage facilities in the apartment. Whether your holiday will involve first lifts and fresh tracks, or mid-morning starts and leisurely lunches, your hosts will be up and about working hard to get your day off to the best possible start (and we’ll try to be quiet – we promise!). You can enjoy a hearty breakfast with a choice of cereals, porridge and muesli, accompanied by yoghurt and fresh baguette with butters and jam. 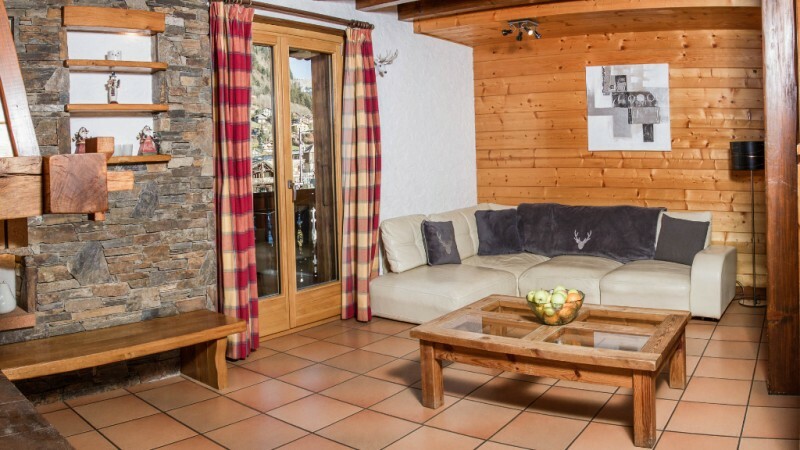 The chalet also offers a hot option everyday day apart from chalet day off and departure day. On 6 evenings of your stay you enjoy a glass or kir or wine before sitting down to a delicious three-course meal, accompanied by a choice of four bottled wines. With dishes such as Paprika Chicken with Chimmichurri Sauce and Individual Baked Camembert with Onion Marmalade to tickle those taste buds, we’ll think you’ll be hard pushed to choose a favourite. Your hosts will serve children under 12 an early dinner at around 5.30 – 6pm, and serve up a simplified menu of healthy, nutritious and child friendly meals. On arrival, we suggest you speak to your hosts to discuss any likes, dislikes and dietary requirements prior to your arrival in resort to make sure your little ones are well fueled for a week on the mountain. 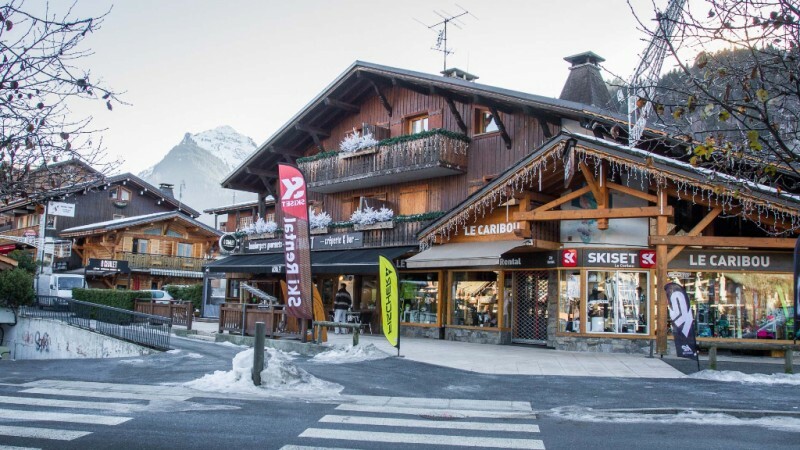 If you have booked the whole chalet, children under 12 are welcome to eat at the same time as the adults if they are happy to eat from the adult menu. 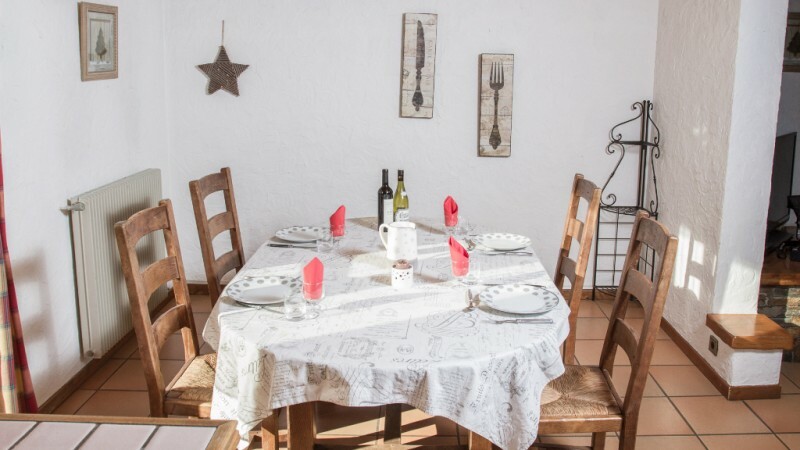 Your chalet hosts will have one day off per week and this is the ideal opportunity to try out some amazing local dishes in one of the superb resort restaurants. Continental options and pastries will be provided for breakfast on day off, as will afternoon tea. If you are lucky enough to be staying at Christmas or New Year you can rest assured you will be celebrating the festive season with an appropriate amount of baubles, tinsel and party poppers. On Christmas day your hosts serve mince pies, a full turkey dinner with all the trimmings, and Christmas pudding or alternative. The chalet operator recognises that special dietary requirements are becoming increasingly common. Whilst your chalet hosts can adapt our menu to allow for specific dietary requirements, please do remember that our menus are pre-planned and ingredients purchased before your arrival in resort. Your hosts do require advance notice (at least 3 weeks prior to your arrival in resort) of any special dietary requirements. If your party leader has not notified us of any special dietary requirements in advance, the chalet cannot guarantee the availability of a specific meal on the first night of your stay. Additionally, we will need to charge a short notice fee of 45€ per person. The menus contain built in vegetarian and pescatarian options. Other dietary requirements (e.g. Gluten Free, Dairy Free, Vegan*) can be catered for, but we ask for your understanding in that we cannot access the same range of products in the local French supermarkets as you usually purchase at home. If you have very strict dietary requirements or a particular desire for certain products, it may be useful to bring some important items with you. 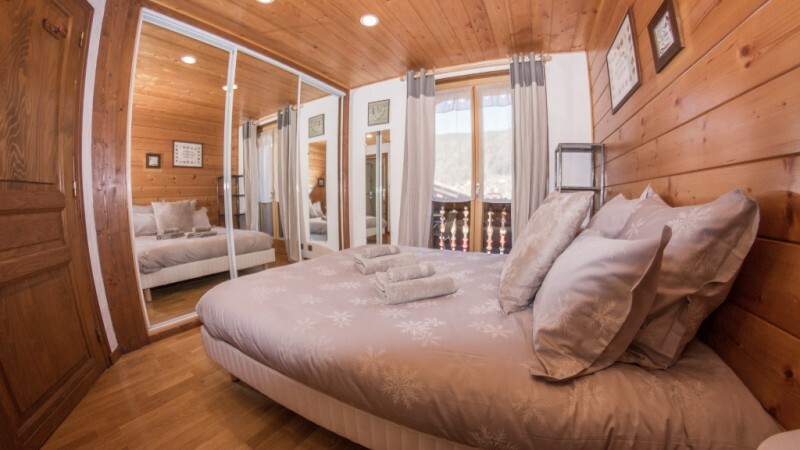 Please feel free to discuss your requirements with the chalet operator prior to arrival and we can advise which products are available in resort. * Please note: unfortunately we are unable to provide vegan wine. Room 1: Double en-suite with shower and WC. Room 2: Twin with access to family bathroom comprising shower and WC. Room 3: Double with access to family bathroom comprising shower and WC. 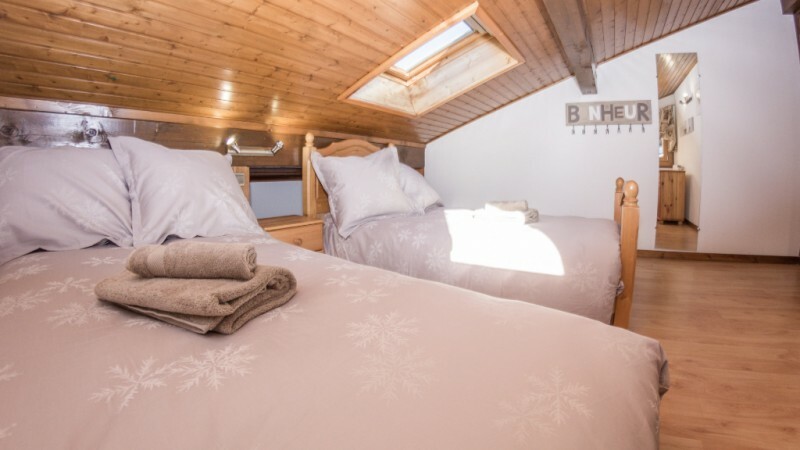 Large mezzanine level with double sofa bed to accommodate 2 additional guests (max 8). 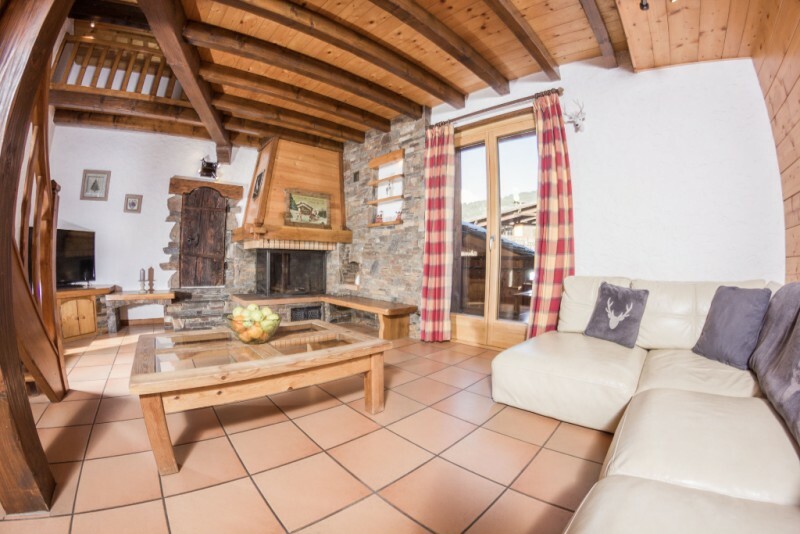 A lovely little property in the centre of town, great for ski access and making the most of the varied apres-ski venues close by.